Take it slow and steady, cruise along checking out the local water habitat from a very unique view or you can treat it as a fun solid workout great for core training! 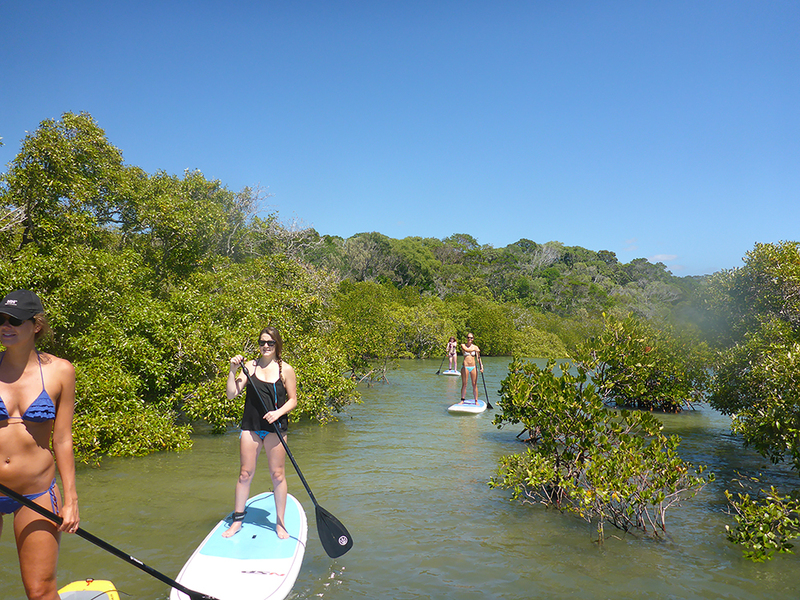 Instructors will teach you basic SUP techniques and guide you throughout the tour. large number of turtles that feed and rest here but also a very important food source for a number of other local marine life including turtles, sting rays, sea birds, crabs, dugongs. 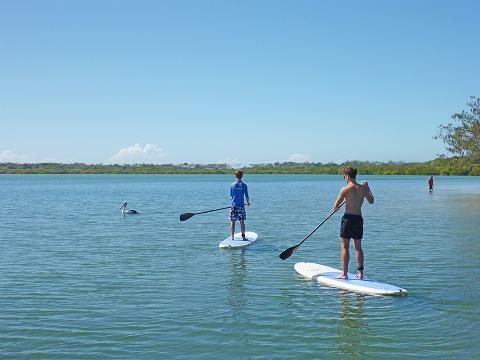 A great family activity in very flat and shallow waters. 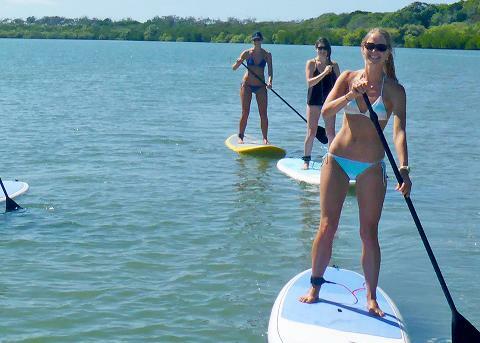 Take the challenge to ride a SUP board and see the turtles and other sea life. 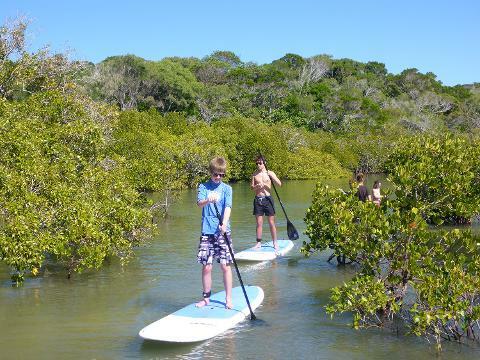 What's included: 4wd transport, equipment (specilised SUP boards, wetshirt or wetsuit), lesson & tour, National Park fees, fun!